For the dramatic bride, this strapless ball gown wedding dress with floral applique and sheer overlay combines tradition and elegance. 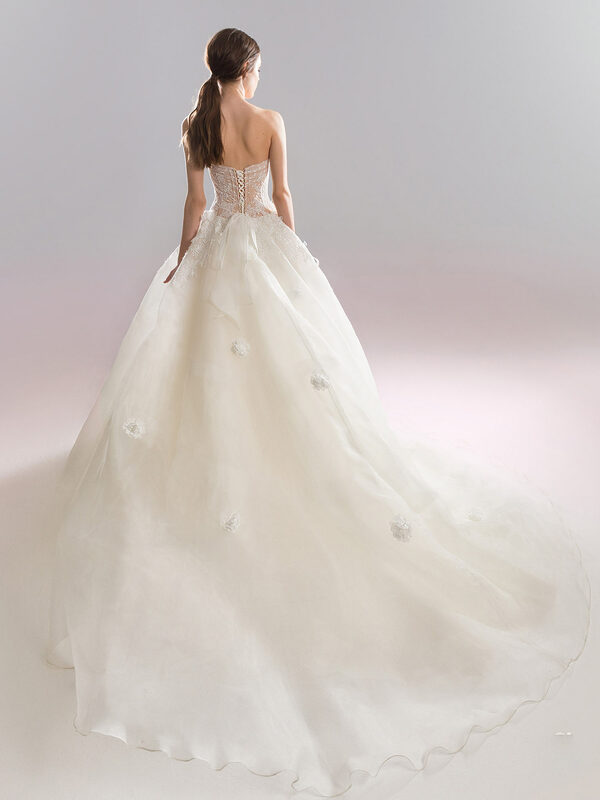 The skirt has the perfect amount of volume with small 3D flowers placed throughout with matching ones on the bodice. A playful polka dot lace is used as the layering before coming to a close in a tie-up back.